Aligning everyone within the organization regarding the projects and programs to prioritize can be tricky. There would be times when the strategic objectives are unclear and even non-existent. Sometimes, there would be a gap between these objectives and the various business units, departments, or functions. To effectively function as a business, office management is essential. One way to achieve that is through Hierarchy of Purpose, a tool that executives can use in prioritizing strategic initiatives and projects. The Hierarchy of Purpose starts by answering a few questions, as enumerated by the Harvard Business Review. What is the organization’s purpose? How is it being pursued? What is the strategic vision supporting it? Given the purpose and vision, what are the organization’s priorities now and over the next two to five years? Based on the answers so far, which projects are the most strategic that should be resourced? Which of them aligns with the purpose, vision, and priorities? Which ones should be scrapped? 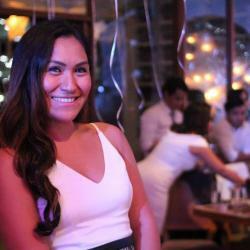 Who are the best people to execute the projects? What are the outcome-related targets that will measure real performance and value creation? The Hierarchy of Purpose can help you come up with the right decisions in situations wherein the criteria for a good solution are known, but the relative importance is indefinite or uncertain, perhaps when choosing whether to purchase new equipment or not and when selecting a supplier. If you’re unsure on how to straighten your business’s operational path, here’s a guide on how you can do it seamlessly. Aside from knowing each process, it is vital to understand the classifications as well, because it helps in developing effective business architecture, or the description that defines the category and detail of the process. These are the processes that are essential to achieving the goals and objectives of the business and are end-to-end, cross-functional practices that directly deliver value to external clients and liaisons. They also make up the value chain or the high-level, interrelated procedures that add value to the product or service, which ultimately delivers value to customers. All core processes involve the creation and development of the product or service, marketing and transfer to the customer, and the after-sale support or customer feedback. Because of this, core processes are strategically important and have a significant impact on the company, making them crucial for success. The second type provides the resources and infrastructure that are required by the core processes. Support processes add value to internal customers, and some of the examples include delivery of IT, finance, and HR services, as well as goods and services. They may be associated with functional areas of the business and may involve a lifecycle. Unlike core processes, support processes do not deliver value to customers. But, they are essential, nonetheless, as they directly affect the execution of the core ones. 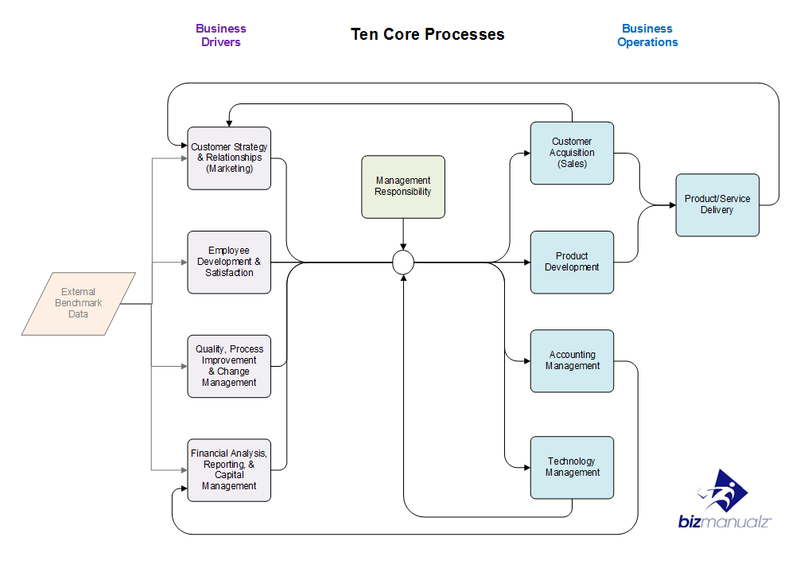 The last type includes the processes required to design, determine, observe, and control business activities. Management ensures that both core and support processes meet the operational, financial, regulatory, and legal requirements that let the organization operate effectively and efficiently. Now that you know the processes, you can begin the development of a plan to prioritize or improve on your existing business processes. What steps should be fixed? Which step needs time to complete? Which steps cause costs/resources to go up? Which steps cause quality to go down? Along with these, determine who gets to prioritize and why—maybe some of your people already have the knowledge or experience to make better decisions. This can avoid the problem of having too many people involved in the decision making. Generating the strategy for prioritizing requires defining a form of value model that will explain why a project or process is valuable and should be prioritized. It should take into consideration time sensitivity and risk factors, so the company can take action before it’s too late. Schedule your activities and milestones accordingly, because this will not only ensure deadlines are met, but also that you are maximizing the resources available. Placing the appropriate people at the right time and task should be part of your scheduling. When you put people with the same intention in the project, you manage and maximize their productivity. Setting goals and objectives must include linking them to specific metrics. This will help measure productivity and efficiency and let you know you’re moving in the right direction. Try making the metrics very specific; manage it, so you’ll know if an intervention is needed to get things back on track. Many organizations require a consistent project management culture, perhaps because it can maximize the success of their strategic efforts. Management gives way to an impactful execution of the strategic mindfulness that will be evident on performance. Aggressive management also allows you to focus and refocus on your critical areas of impact, the long-range strategy, and the alignment of resources for the most beneficial results. 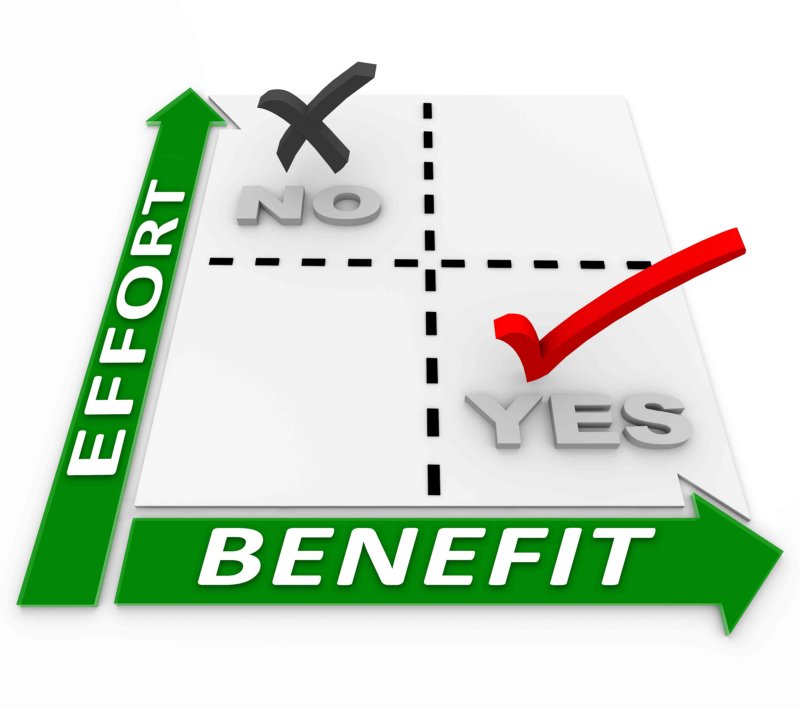 By now, it’s evident that prioritizing can increase the success rates of your strategic projects. But, there are many other advantages to it. 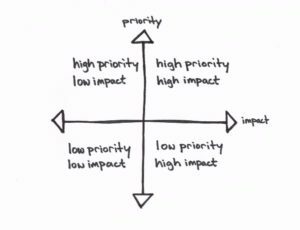 When prioritization is implemented company-wide through positive communication, most of the projects and programs are aligned with its strategies better. It enhances the strategic dialogue, from leaders down to the rest of the organization, helping priorities become embedded in the organization’s culture. Alignment also means that the various departments within your company get to collaborate for the benefit of the customers and partners, rather than compete with each other. Improvement of processes allows you to utilize software and applications that align best with organizational requirements, from data entry to employee collaboration tools. When technology is integrated into the business process, employees won’t have to worry about trivial tasks that can be repetitive and take too much time. Their knowledge is utilized on more pressing tasks that they can focus on more, thus improving their performance, and to some extent, employee satisfaction. Process management and prioritization also allow for better transparency, because there is visibility on the way the organization operates, how data is produced and consumed, what the resulting products and services are, where customer interfaces exist, and what the organizational risks are. This also gives way to an improved quality of decision-making, as it helps contextualize the decisions in light of their impact on company operations. 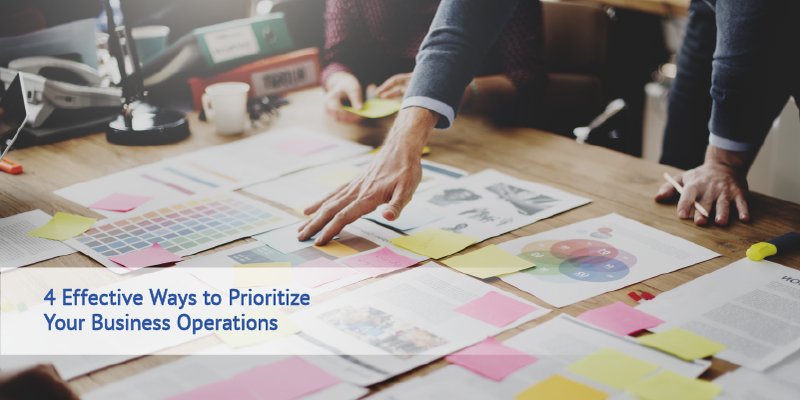 Organizations handle a lot of projects and programs, and sometimes, it can be hard to match them to strategic objectives. However, simply ensuring that the most critical ones are fully aligned with the objectives will already be of significant help to your company. Priorities will likely change as well, but a terminated one can still be an opportunity to learn for the organization. When managed carefully, a simple change in priority can fundamentally change the business. Acquire the assistance of a managed services agency so you can focus more on your organizational priorities.